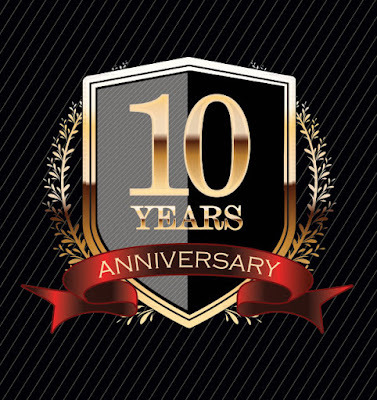 Fantasy Book Critic has hit their 10-year anniversary. Oh how time flies! 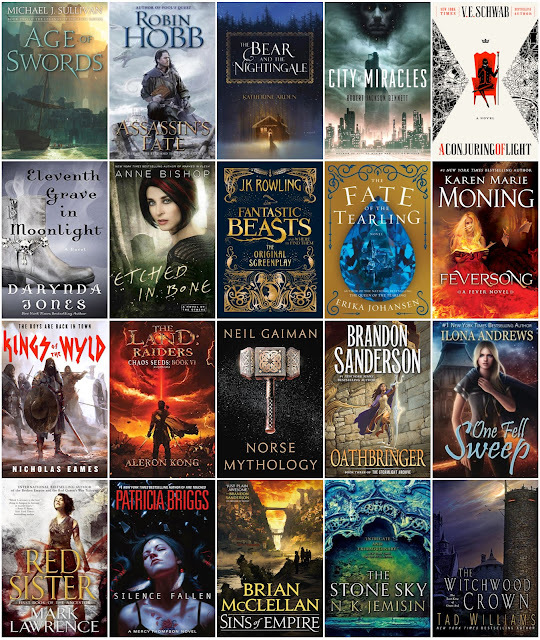 What started out as a hobby by Robert Thompson has become one of the biggest blogs for fantasy fans working tirelessly to introduce fantasy readers to great books by fantasy authors new and well-established. I've said many times that the early support of bloggers and Goodreads has been paramount in my career, and I'm thrilled that they posted a guest post by me to celebrate. So far there are 5 posts in their anniversary celebration. Definitely worth checking them all out. Of particular note is the last link in the celebration. There are 32 books (including one of mine) in the list being given away. To enter, please send an email to "fbcgiveaway@gmail.com" with your Name, Mailing Address, and the subject: FBC 10. Giveaway will end on 1/5/18 and is open to participants WORLDWIDE! Hey all, Robin here. For those that don't know I'm Michael's wife and the "go to woman" for shipping Michael's books. I'm getting swamped with emails about shipment of pre-ordered copies of The Disappearance of Winter's Daughter, so I thought I would take over Michael's blog and post and provide an update. First, the easy things. ebooks and audio versions went live on December 5th. You can get your audio version exclusively from Audible.com. Due to a non-compete clause in Michael's Del Rey contract you CANNOT get the audio book (or physical copies) in the retail chain...yet. The books WILL be in retail sometime in June 2018. Now, for those who don't want to wait that long, you can order the book directly from us and we have several formats for you to purchase: ebook, trade paperback, hardcover, and limited editions. I should also note that if you buy an ebook, it's not an automated process, and I email them a few times a day so you should get your copy within 24 hours of purchase. Now some updates on shipping of the physical books. As some may know, we held a Kickstarter for this project to make hardcover editions possible (in three formats: rare, limited, and regular). It was a huge success (2nd most-backed and 4th highest funded fiction project of all time). The plan was to use a fulfillment house to process those Kickstarter orders (as well as any pre-orders that were "signed only'). Here's how that was supposed to work. When the books came off the press they would be shipped to a fulfillment house. While they were traveling, Michael and I would simultaneously be driving there and we'd "meet the books" where he would sign them, I'd add a bookmark, and the employees of the fulfillment house would ship them. 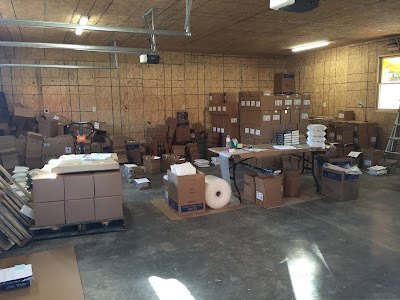 Since all of the Kickstarter orders (and a large % of the pre-orders) were signed only this would take care of the bulk of the orders and all we would have to worry about was orders that had t-shirts, and books that needed to be dedicated. Okay, so the books came off the press on December 7th, so I called the fulfillment house to make sure they were on the look out for them. That's when we got the bad news that they had some big orders come in and they are completely booked until the middle of January! That wasn't going to work as I knew many people made their orders for Christmas gifts. So time to think fast. I arranged for the printer to ship the books directly to us in Virginia (yes, all 13,600 pounds of them), and I rented a storage locker. We'd just have to ship them ourselves...and with the help of our daughter Sarah who has been helping me with some of the business stuff (and shipping) for some time. After some trials and tribulations that I'll save for another day. The books arrived on the coldest night of the year in the dark of night (Tuesday December 12). By midnight all the books had been moved out of the parking lot (where the delivery truck dropped them) to either the storage locker or the garage and there very cold and very tired people went to bed. 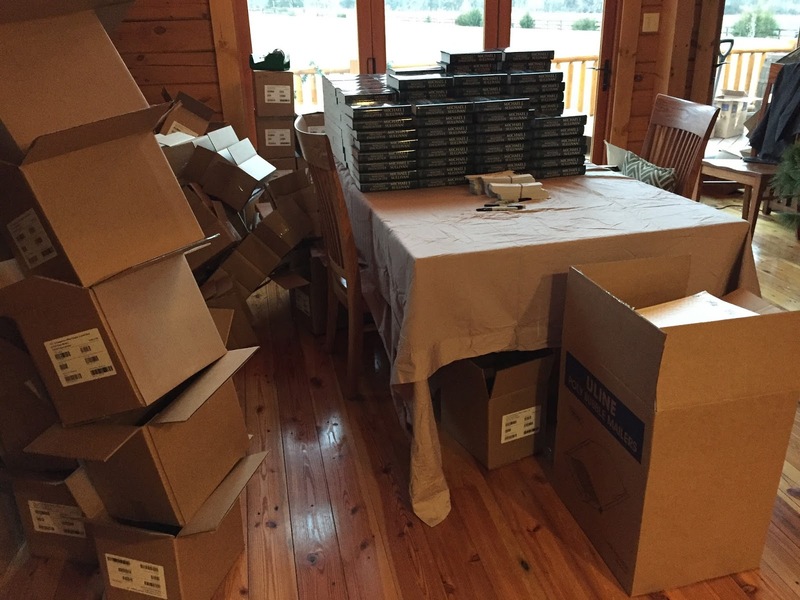 Sarah and I started unboxing and stacking books on the dinning room table and when Michael got up he started signing...more than 1,700 copies! Sarah and I organized and started the shipping. Now, I have to confess that we concentrated on the Kickstarter orders because after all those people's pledges made the printing possible in the first place. Our goal was to get all the Kickstarter orders done by Monday morning...and we almost made it. All the book orders went out but we still had a bunch of orders that involved both books and t-shirts. By this time Sarah was really showing signs of wear...with good reason. She generally stayed up until around 2:00 am packaging books and when I woke up around 6:00 am we'd start into it again. She fully expected to drop off all the orders on Monday and then be able to go back to her house in Fairfax. The fact that we still around 300 orders to process after Sunday night was heart-breaking. Still, Sarah was a trooper and by late afternoon Tuesday the 19th. All the Kickstarter orders were on their way and it looked like a good 95% of them would receive them by Christmas. I didn't have the heart to tell Sarah that there were still another 233 pre-orders to go. So, I had Michael drive her home Tuesday afternoon with the plan that I would finish up. I spent most of the day on Wednesday organizing the orders and getting out critical packages for people who had written me that they needed their pre-orders by Christmas. And given that it is now Thursday...it is Thursday right--everything since last Tuesday night has been a blur. I'm going to cut off the "one-off" I must have it now orders since I can't get them out by Christmas anyway. This will allow me to do a more efficient shipping process - because those on-offs throw a wrench into everything. So, with a last push I SHOULD be able to get the remaining 150 orders out today and Friday. Please don't email asking where your order is. It takes time away from shipping. Just know that I'm working as hard as a broken-down 56-year-old woman can and getting the orders to you are my #1 priority. Okay, I've already taken enough time away from shipping to write this post. Time to get back at it. Thanks all for your understanding. We are trying to get the books to you just as soon as we can. That's three for four! Age of Myth was the only one not to hit the list, but seeing as how it was a finalist for Best Fantasy Audiobook of the year (for both AudioFile Magazine and Audible.com) we'll still consider it a success ;-). So checkout the top 10 books, many of which are fantasy or sci-fi so a good crop of listens for people who enjoy speculative fiction. 2017 has been an exceptional year for audiobook releases, and as the year winds down Audible's editors picked their final batch of best-of titles. I'm honored to have The Disappearance of Winter's Daughter make the cut. 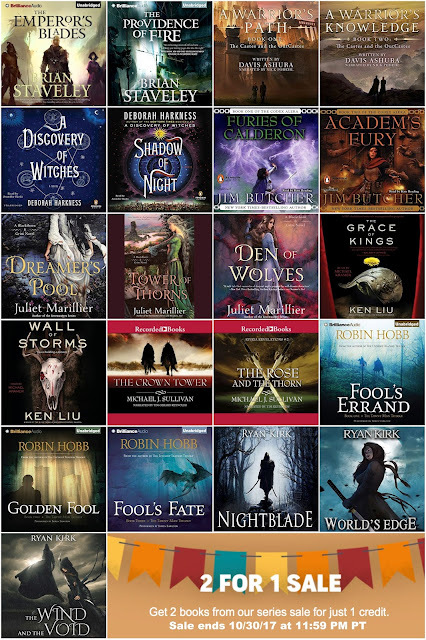 I think this is the first time one of my books has been an editor's choice (although several titles have been awarded Listener's Favorites and Age of Myth was a finalist for Best Book of the Year in 2016). Here's what the editor had to say about the book. I'm so glad to hear that Michael felt it could be enjoyed as a standalone. That was certainly one of the goals of this book, and it's always good when a bar you set for yourself is cleared. Winter's Daughter is a standalone that can be read without any prior knowledge of the Riyria Chronicles but thanks to the 50% off sale, you could grab the first three for half the price. Gotta move fast, though. Sale ends on the 14th. Happy listening no matter what you pick up! Winter's Daughter - A great first day! Yesterday The Disappearance of Winter's Daughter was officially released! Release days are so exciting. You are hoping for good results. You are hoping for people to like the book. You are hoping you won't have to crawl into a hole afterward. The book hit #7 overall, which is pretty good considering it shared release day with two power hitters (Nora Roberts made her debut into the fantasy world with her book Year One, and Kel Kade's King's Dark Tiding also launched). In addition, to the sales from Audible.com, a number of people 604 to be exact, have pre-ordered print and ebook copies directly from me. The distribution of ebooks, is, unfortunately, manual at this point and Robin, myself, and Sarah worked long into the night to get them all sent out. So, if you pre-ordered, look in your email for your books. But what's even better than all the the enthusiastic sales is that people seem to be enjoying the new release. Here's what has come in so far. What about Tim Gerard Reynolds and Michael J. Sullivan ’s performance did you like? Tim Gerard Reynolds should be in Audible's Narrator Hall of Fame. 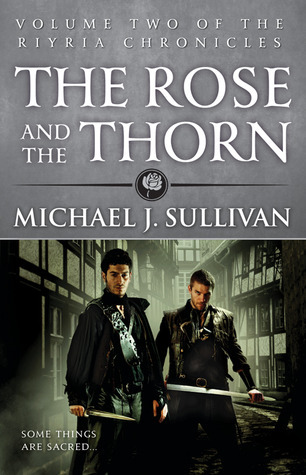 Michael J. Sullivan takes us on another epic adventure with my favorite duo. Delving ever deeper into Ryiras history gap MJS spins gold and TGR brings it to life! Oh how I hope MJS keeps writing these I've had it on pre order for the past 5 months!! 4th book in the series and still great! I worried that this type of series could feel flat after a few entries but found no need to worry! Great book! my only complaint is I wanted more! This is in addition to the accolades that have been coming in from the Kickstarters. It's still early, but I'm cautiously optimistic that people are enjoying the new adventure. Today The Disappearance of Winter's Daughter is officially released! Yes, many people have already received the book as part of the Kickstarter, but it's not available to the public at large. Leading up to the release, we've been in the top 100 Bestselling Audio books for the last four days and I have hopes of climbing even higher than it's current position of 75. Oh, and if you are new to Riyria, no worries this book is a standalone and no prior knowledge of Riyria is needed to enjoy this to the it's fullest. For those who are looking online for the print and ebook, you won't find them. This is an "audio first" release so for the first six months it'll only be the audio version available for sale in the retailers. But if you just can't wait that long, no worries you can get copies directly from me. The ebooks are a manual process and we'll check for orders a few times a day, so if you don't receive your copy right away, you should within a few hours. As for the printed versions...they are still on the press and are due to ship 12/08. Allowing for a few days of shipping, we should have copies by the 12th and we'll start shipping the pre-orders then. For people who would like to read a sample chapter...you can find one here! The Disapperanace of Winter's Daughter will be released in audio (and ebook when bought directly from me) in just 2 days!! 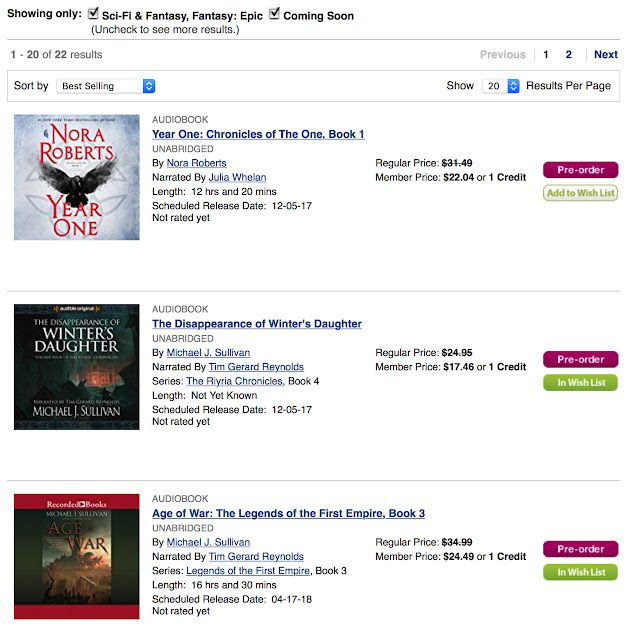 So I was curious to see how the pre-orders were doing and ventured over to Audible's Epic Fantasy page. To be honest, I didn't expect to see it within the Best Seller listings, but there it was nicely sandwiched between Tolkien's master works and a soon to be released Brandon Sanderson tale. I'll take that! Seriously, thank you everyone for pre-ordering the book, and I hope you are as excite as I am about it's release. 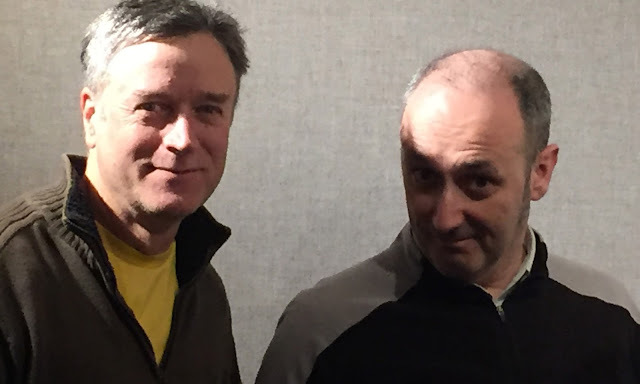 Robin and I were in New York in the middle of October for it's recording, and I gotta say, Tim has done another fabulous job. I can't wait until you can hear it as well. Because the Riyria novels and the new series, Legends of the First Empire are my more popular works, you probably already know about my love for Tim Gerard Reynolds, the narrator of my fantasy books. Heck, I even dedicated Age of Sword to him! But did you know I have another narrator that I've used? His name is Jonathan Davis and he lends his incredible voice to Hollow World. Jonathan was a perfect choice for this novel because I needed someone with a very "mid-western" sound to his voice and he did a fabulous job characterizing: Warren, Pax, and Ellis Rogers. 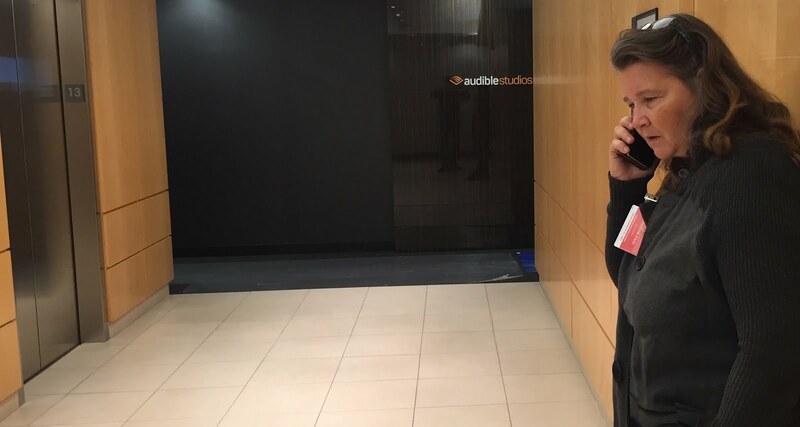 Well Jonathan's amazing talent was just recognized by Audible when he was inducted into their Narrator Hall of Fame. Great work Jonathan! If you are interested in classic science fiction in the vein of Heinlen, Asimov, and Wells, then you probably would like Hollow World. It explores many themes among them: what it means to be human, what it takes to love, and the cost of paradise. I hope you'll check it, or other books narrated by Jonathan out. I hope everyone is doing well on your NaNoWriMo goals. You are, right? Since we are at the end of the month I thought I would share a bit about being a writer. So here goes. First off, people seem to get really hung up on when you can and can't call yourself a writer. Some same (a) if you write, you're a writer (b) others say, if you publish you're a writer (c) others say if you earn a full-time living you're a writer. What's the correct answer? Take your pick. For me, I think if you are writing then you are a writer, but if you have specific goals that will make you feel like "you made it," then by all means set those goals and work toward it. The important thing here is you have the opportunity to define what the term "writer" means. The outside world doesn't agree on a definition so use the one that fits for you. Second I often hear people say, "I want to be a writer, but I don't want to market." Okay, fine, I understand that sentiment, just realize that if that's the approach you take you're going to struggle and you certainly diminish your chances of "getting anywhere" with your writing. There are a lot of things we do that we don't like. If I was in the housebuilding industry could I tell my foreman, "I like to frame walls I just don't like to drywall or paint them." If I were my own boss (contracted labor) I could do that, but I'd earn a lot less money as it'd be harder to find jobs that let me pick and choose what areas I will do and what I don't. If I worked for a company, my boss would likely tell me, "That's nice to know, now go tape those drywall seams!" In other words, publishing traditionally won't absolve you from marketing (the marketing team has only a small window of time to focus on your books as each month a new set of books are released). And if you are self-published, you are going to have to do something to get people to know your books exists as otherwise you are the proverbial tree falling in a forest with no one to hear. So, what if you still say, "I hear you but I'm not going to market...period." Fine, you can still write. Nothing stops you from doing that, but just realize that by making that decision you won't likely have readers. "But I want readers!!" some might say. To that I respond, "Well, then you have to work for them." Regarding self-publishing...I have a small group of indie authors I'm a part of and there was a discussion about whether or not you have to pay for editing and covers to be a writer. Going back to bullet #1, the answer is no. You are a writer just by the fact that you write. Let's say you don't care about money...okay, fine. Post your stuff for free and ask people to read it. In such a situation it can have typos and bad formatting, and be a little rough. People understand they get what they pay for, and since they aren't paying anything, they'll understand if the work isn't polished. But...let's say you want to publish...well now you've crossed a line to a different level, and from my perspective that line comes with extra responsibilities. When you ask for someone's hard earned cash, they deserve a quality product. And that means you need to invest in covers and editing. "But I don't have the money for those things" some may say. My first response is..."well I don't have the money for a private jet, so guess what...I don't get one." But when I was self-published and I didn't have the money for editing we cut back and saved. Cut out beer for a few months, or stop eating out, or forgo desserts. You can get decent editing for $350 (for 100,000 words) and I've seen exceptional covers for $250. How long will it take to save $600? For some that may be a very long time...so decrease the time by taking on extra work. Hand out flyers, walk dogs, clear brush--there's always people looking for manual labor on the side. But let's say you disregard my advice and you put out a book without investing in covers and editing? Well, then don't be surprised if (a) your book isn't found by anyone (b) it is torn apart by the few people who do find it because the quality is poor and (c) you don't grow your career because you lack repeat buyers. Bottom line, writing is like anything, it comes with a price. You may like the idea of "writing and doing nothing else" but that's a fairytale. If you don't want to do what's necessary...then stay a hobby writer. Nothing wrong with that. But if you want to make a living from your writing then you have take all that comes along with it. That's my 2 cents at least...now get back and finish your 50,000 words. It's time for the annual Cyber Monday Signed Book Sale! As in previous years, some author friends and I have gotten together to offer holiday prices on signed books directly from our websites. This means you can get signed books at a discount, and also send a little more money toward your favorite authors during this holiday season. 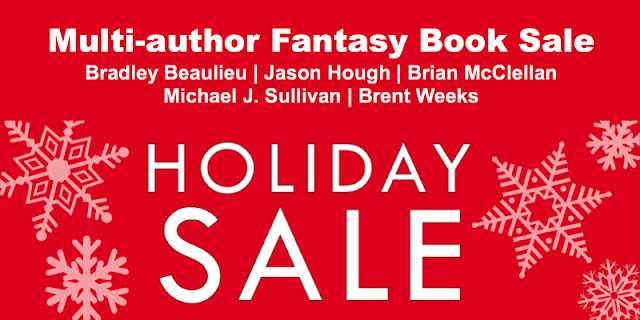 This year, the participants are Bradley Beaulieu, Jason Hough, Brian McClellan, and Brent Weeks (use discount code NIGHTANGEL). Check out all the discounts from this centralized page! I hope you'll take advantage of some of these great discounts. Timing on each sale is dependent on the author, my books will remain on sale for the entire week (ending midnight + 1 min on December 3rd. Oh, and I should also note: Theft of Swords is one of many, many Kindle Daily Deal books - so you can get the ebook for just $2.99 at most US retailers. I'm often asked about how to find agents. It can be difficult sometimes, especially to find good ones, but one of the best ways is to query agents of books that are similar to yours. After all, if an agent was able to place other books, it shows they have a track record. Amazon Charts - lists the top 20 books sold by Amazon in a given week, and most of them indicate the agent that represent the book. For instance, from that you can discover that David Gernert represented John Grisham's The Rooster Bar and Heidi Lange sold Dan Brown's Origin book. Use the "Look inside the book" feature and do a search (from the printed book) on the word "agent." That's because many authors will thank their agents in the acknowledgement of their books. Subscribe to Publisher's Marketplace. It's a site where agents and publishers post the deals they've signed (and usually rank them into various categories that give you and idea about how much the advance was for. It's a monthly service, but you can subscribe, farm it for agents, then unsubscribe. Agent Query - is a site that has an extensive database of agents and many of them list the books and authors they represent. You can also search the database by selecting the genre that best fits your book. I know right now you're concerned with writing your book, and querying it may be some time off. But it's good to know about these resources for the future. I hope you find them useful. Only a few books are featured by Audible on their front page, and I'm honored to say The Disappearance of Winter's Daughter was deemed worthy of such an important spot! If you're a Riyria fan, please consider pre-ordering the book. Early sales is one of the driving factors behind the marketing push a book receives, so ordering it now will be a big help to me. And if you've not yet read Book #3 (The Death of Dulgath). I highly recommend you pick up the kindle version for free and add the audio for just $1.99. That deal and a half! I'm pretty exciting about the coming release, and I hope you are too. It's a great resource for aspiring authors, and as such it's a nice thing to give to people doing NaNoWriMo. The problem is that much of the content makes no sense without access to the novel, and that normally runs $9.99. Now I didn't write the "making of" to drive sales to the novel, nor do I have any desire to make money off of aspiring authors (you have enough to worry about). So, I'm going to make the novel free for three days so you can get a copy for nothing. Then, when you are done with NaNoWriMo, you can read the book. Once you're finished, email me to receive a copy of the "making of" (I don't want you to read one before you read the other), and I'll send one your way. So how do you get this free copy of The Death of Dulgath? Well there are two ways. Pick up a copy during Nov 14 - Nov 16 at Amazon (you'll find that it is free rather than $9.99). When buying this way, you can also add on the audio book for just $1.99 -- which is an exceptional deal and if you've not heard Tim Gerard Reynolds narration, you really MUST! Request a copy from me and I'll send out DRM-free versions that can be used on any reading device (.epub for Nook, Kobo, and ibooks; .pdf for computers, tablets,, and smart phones, .mobi for kindle and kindle apps). That link will also provide you the ability to give it to a friend if you think they may like it. I hope your NaNoWriMo is going well. We're not quite halfway through and there is plenty of time left to catch up if you are behind. And I do hope you'll take me up on the free book opportunity. I do think that the "making of" will be quite educational. Today's NaNoWriMo tip is to write the book that you want to read. When I was in my twenties, and a stay-at-home dad, I tried to fulfill a lifelong dream of being a novelist. 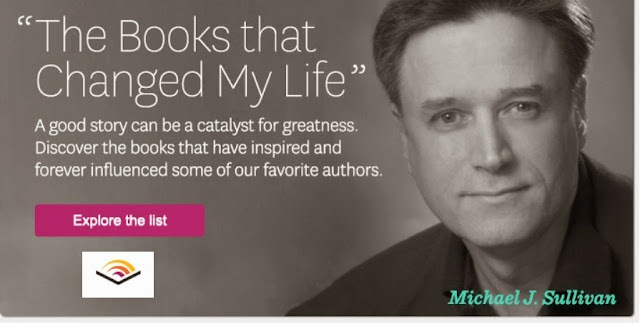 Over the course more than a decade I wrote 13 books. Most of them weren't meant for publication, they were me teaching myself how to write. But I was also trying to write books that I thought had a good chance of being published (based on other books "out there.") I learned two things during that time. I didn't enjoy writing as much as I would have liked. Trying to follow publishing "trends" is folly. For me, I eventually quit writing altogether. At the time I thought I would never return tot the keyboard but a decade later something happened. I picked up a copy of the first Harry Pottter book (for my dyslexic daughter). Sarah didn't read the book, but I did. And it reminded me how much fun a great adventure with characters you love can be. I decided to write again, but with two important differences. I would write a book that I wanted to read, and one that I hoped Sarah would like. That's when I wrote The Crown Conspiracy (the first book of the Theft of Swords Omnibus), and the rest, as they say, is history. Sarah didn't read that book either...well not until it was published -- apparently reading manuscript on 8 1/2 x 11 paper was frustrating for her dyslectic mind. And Robin picked up the thrown down gauntlet and took it upon herself to get the books published. I learned a lot from that experience, and it only took me twenty-five years to learn the importance of writing for yourself. If you haven't vote yet, pease do so now. I don't need you to vote for my book, simply choose the book you like the best from this list. There are many social networking sites out there, and authors use Twitter, Facebook, Instagram, and Tumblr to tell the world about their books. But I'm always amazed that so few authors are active on Goodreads--a social networking site that is 100% dedicated to books! Robin (my wife) and I have given plenty of lectures on Goodreads and writers and it would take more than I can easily write about here to go into all those details. But I do want to highlight just a few things. You can add your book to Goodreads even before it is published. This means you could have months (or years) of it "out there" for people to find it and get excited about it's release. When I started Rhune (the first book of The Legends of the First Empire which was renamed to Age of Myth before release), Robin added a page for the book. And by the time of it's release, more than 10,000 people has already shelved it. So tip #1 is start early, and get your book listed as soon as you start working on it. Don't know the title yet? That's okay you can put in a placeholder and change it. As I mentioned above, Age of Myth was originally called Rhune, and all the people who shelved it as Rhune came over automatically when it got it's new title. Be a reader first, and author second. When interacting with others on Goodreads, don't go around yelling "Buy my book! Buy my book!" It doesn't work on Twitter and it doesn't work on Goodreads either. But what does work...being a member of the community, helping others to find books they like (even if it's not yours) and being nice and friendly to fellow book lovers. They'll eventually discover you are a writer, after all your profile says that you are (and lists your various books) but let them come to you rather than the other way around. Goodreads Choice Award Nominations can really help a book get noticed! As of today I can proudly say I'm a six-time nominee for the Goodreads Choice Awards. That's because Age of Swords was added to the semi-final road as a write-in. I'm honored by my reader's support and I wanted to share with fellow writers what kind of impact a nomination can have. On Goodreads, people put books on their shelves for books they've either (a) read, (b) have sitting on their too be read pile or (c) have heard of and may be interested in them at some time. If you are trying to read the tea-leaves to see if your book is getting traction, you need look no further than the number of people who have shelved your books. Goodreads even tracks this information for you (for a certain time period...to keep this data you have to save it off yourself which Robin does for me). Here is a graph that focuses in on the last part of 2016 and the first month of 2017 for Age of Myth (the first book in the Legends of the First Empire Series). Before its nomination the book was receiving about 42 shelvings per day. 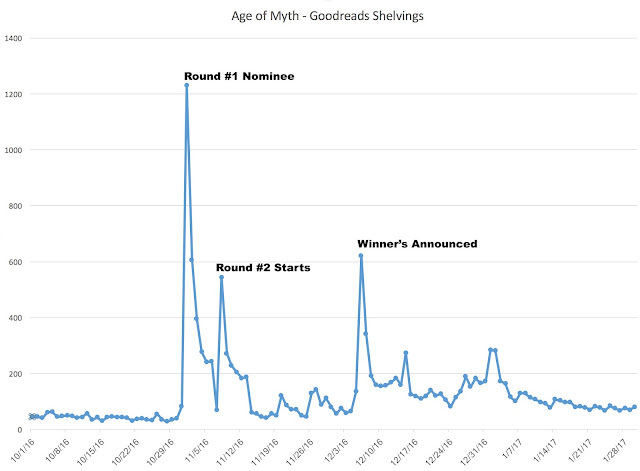 But look at the spikes during the various stages of the Goodreads Choice Awards. It went up to 1,230 on the day the nominations were made. That's a huge increase. But what's even more interesting is that in January, after the awards were wrapped, the books average shelvings went up to 108, a 250% increase as before the award. Books released during the eligibility period (which usually run from mid-November of the previous year until mid-November of the current year). The first fifteen books are selected based on this criteria (and some editorial analysis by the people at Goodreads), and then 5 more books are added based on write-ins during the first round of voting. Later, the field will be narrowed to 10 books for the final round of voting and the book with he most votes across all the voting periods win. I doubt I'll ever see my book as a winner, competition against people such as J.K. Rowling, Neil Gaiman, and Brandon Sanderson, makes that all but impossible. But to be one of 20 books selected from the thousand of fantasy titles that come out? Heck, yeah, I'll take that, and I'm honored for the nomination. If you want to cast your vote for your favorite fantasy of 2017, voting is open for the semi-final round. You don't have to vote for my book, just pick the one you liked the best. The moderators at the /r/fantasy reddit site have asked me to do an AMA on November 8th. I, of course, said yes. The focus of this AMA will be on writing related questions since this is National Novel Writing Month, but, of course, I'll answer questions on any and all subjects. I'll make the post early on the 8th and be in the sub at 7:30 PM (EST) to answer them. If you put in your questions earlier in the day I'll have time to work on them before posting come game time. For those who aren't familiar with the /r/fantasy sub of reddit. Its a fabulous group that has grown at astounding rates. There are over 207,000 members and it includes not only readers, but a good number of fantasy authors drop in as well. So, if you have questions...I hope to have the answers. Stop by on Wednesday. I hope to see you there. 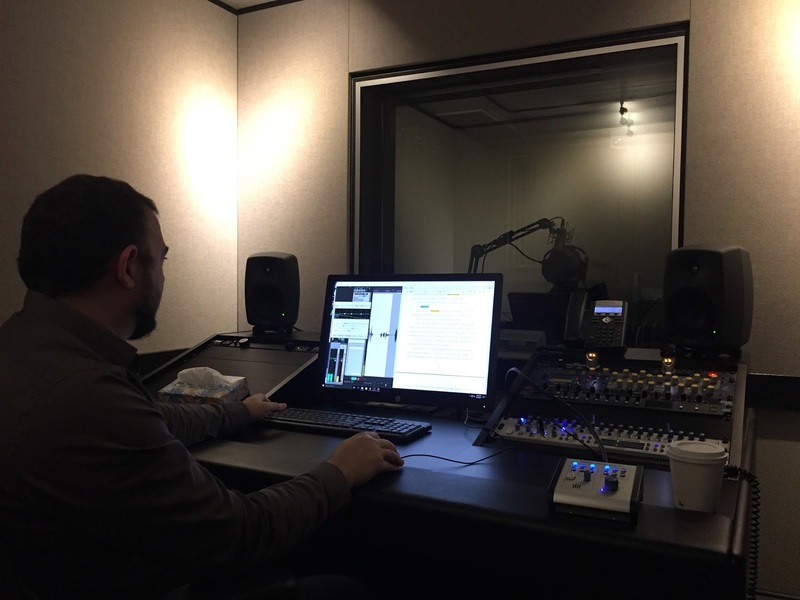 In October, I had the pleasure of working with Tim Gerard Reynolds recording my new book The Disappearance of Winter’s Daughter. Given that I’m putting out three books in close succession (Age of Swords, Winter’s Daughter, and Age of War) Robin and I were working right up to the deadline. Tim—who is wildly popular these days, and in great demand— scheduled us for a week in October, so we had to meet that. Robin and I were editing on the train to Newark, where some of the Audible Studios are located. Luckily we were not in the quiet car as we also debated various aspects of the text. People might have thought us insane, but hopefully not rude. Alex recording Tim whose face is hidden behind the mike's spit guard. During the day we monitored the live recordings, on hand to explain pronunciations, answer questions, and on occasions request a different emphasis on a given line. At night, Robin and I continued to edit trying to stay ahead of Tim. At times we live edited as Tim was reading. He would make a “mistake” misreading my text—but I liked it. We would then alter the text to reflect the change. The biggest problem we encountered was lingering too long at lunch. The cafeteria at Audible Studios was like a really nice high school. Tim, Alex (our engineer), Robin, and I filled our trays and sat at long tables eating and chatting far too long. But this was as much fun for us as it was work. So Winter’s Daughter was recorded and is undergoing (audio) edits. And as always, Tim was fantastic. If you saw yesterday's post, you probably noticed I write on a Mac. Anyone who knows me is aware that I'm pretty much an Apple fanatic. I read my paper on an iPad in the morning. I've gotten iPhones for myself, my wife, and all but one of my children (no, I don't love her any less, she just doesn't want an iPhone--go figure. At least she's agreed to use the iTouch we bought and replaced a few times). Let's see...what else. Oh, we have two MacBook Air laptops (one for me and one for Robin). I have an iWatch, and I'm trying to convince Robin that she needs the upgraded model for Christmas. Scrivener (/ˈskrɪvənər/) is a word-processing program and outliner designed for authors. Scrivener provides a management system for documents, notes and metadata. This allows the user to organize notes, concepts, research and whole documents for easy access and reference (documents including rich text, images, PDF, audio, video, web pages, etc.). Scrivener offers templates for screenplays, fiction, and non-fiction manuscripts. After writing a text, the user may export it for final formatting to a standard word processor, screenwriting software, desktop publishing software, or TeX. For me, Scrivener helps me write in more ways than I could explain in a short blog post. In fact, it takes up a fair amount of the Making of the Death of Dulgath ebook and if you read that story, you can get the ebook for free by emailing me (michael.sullivan.dc@gmail.com) and putting "Making of The Death of Dulgath in the subject line. I also wrote an extensive blog post about Scrivener many moons ago which you can read here. But what does that have to do with my Mac? Well, there are two versions of Scrivener and while the PC version is great...and something I used for years, the Mac version is even better, and it gave me an excuse to upgrade my writing system to a Mac. At just $45, Scrivener is the best bang for the buck any author. I think it's worth at least 10 and probably 20 times that. But, I know most author are strapped for cash so there's something else you should know: There is a 50% discount for all NaNoWriMo winners. This is a discount the company has been running for years, and while I don't think $22.50 is a huge incentive to get you to write 50,000 words written in November, I'll take any added benefit I can to get you to use this program. You'll thank me later. There were a number of notable titles missing form the list. The first two I can "kind of" understand as they were released late in the year and just barely squeaked onto the list (Brandon's is only 2 days shy of the eligibility period cut-off). 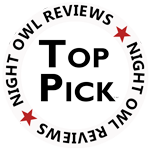 As for my own title's omission, of course, I'm upset, but I'm also surprised as it beats The Watchword Crown on all three metrics: more shelving, more reviews, and a higher rating. Oh, well, better luck next year, unless of course Age of Swords, gets into round two as a write-in, I'm very confident that the first two books will be. Here's to hoping! In any case, you can vote or write in your choice from this link. 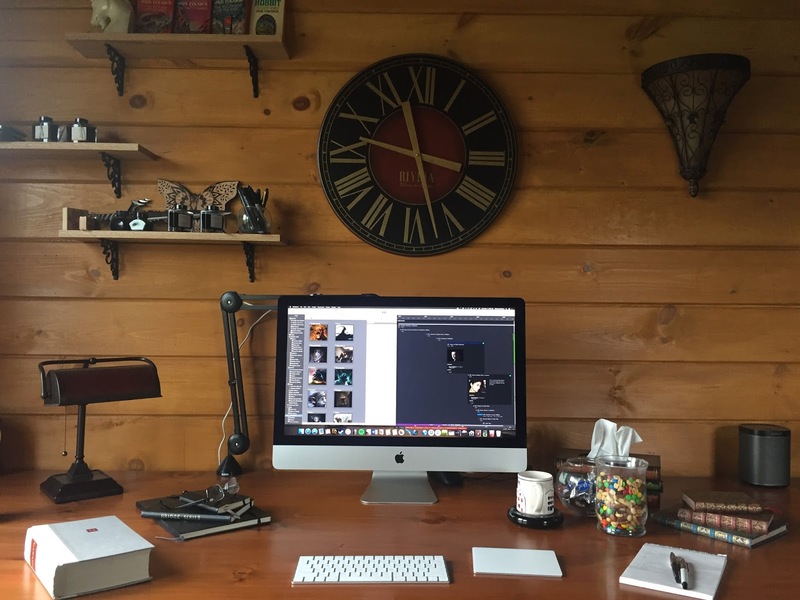 Being that it is day two of National Novel Writing Month, no aspiring writers should be wasting time reading this blog, but for those who are struggling, I always found it both fascinating and inspiring to see the workspace of other writers. So for those of you interested in such things, here’s my present office. I took this photo today when I was in the middle of work, believe it or not, and I know it isn’t fun at all, but honestly, this is about as messy as it gets for me. 1. Catching bats at night. 2. Making a puzzle with too many pieces and no box to look at. 3. The desert of temptation and regret. 6. The joy of finishing! I've written a novel. Now what? It's NaNoWriMo time. For those that don't know what that means it's National Novel Writing Month. During the 30 days of November aspiring authors are asked to challenge themselves to write a novel. In an effort to help aspiring authors I'm going to try to do two things. Host an AMA (Ask me Anything) on reddit/r/Fantasy which specifically focuses on writing related questions. It'll be held on November 8th. "I am currently a college student who just recently finished writing a novel. I'm just beginning the peer review process using some friends of mine for help, and I was just wondering how exactly I should move forward if I want my book to be published. My friends are not the most reliable sources of feedback given their studies and other commitments, so should I seek out a professional editor? Also once the final edits have been made, how do I go about submitting my work to publishers without them simply trashing it before reading a word? Any advice at all would be greatly appreciated." After responding, I realized it would make a pretty good post for NaNoWriMo. So here's what I told young Ben. Congratulations on finishing your first novel! I don't want to sound too pessimistic but I do want to warn you that first books are rarely "suitable for publication." Think about it, you can't play Carnegie Hall after a few years at the piano, and likewise it takes time to develop a full set of writing skills to crate a work that is fit to share with others. For me, it was my14th novel which was the first published. Now, you are likely not as slow a learner as I am, but here are some metrics to keep in mind. Stephen King says you should consider your first 1,000,000 words as practice, and Malcolm Gladwell says you need 10,000 hours working at a task to become proficient at it. Assuming your novel is 100,000 words or so you're 10% there! Okay, with that very sobering preamble out of the way, let me address some of your questions and offer some advice. Here goes. After finishing a book. You should put it away for 4 - 6 weeks then pick it up and re-read it again. Pay particular attention to how it opens. It's likely that it doesn't start where it should...something you can't tell for sure until the book is finished. As you re-read, polish, polish, polish. In particular make sure your opening line is a great one, and that the first paragraph sets a stage and hooks the reader in. Make ABSOLUTELY sure the first 5 pages are flawless. If an editor or agent can make it through the firsts 5 pages, it's likely they'll request the full manuscript. You need to find writer critique groups. If you live in a fairly populated area, there should be a number that meet face-to-face. Checkout Meetup.com. If you don't find any, then look online there are plenty and most specialize in a given genre. In these groups you'll read and critique other people's work in exchange for them doing the same for you. You'll actually learn a great deal when critiquing others. You'll see things they do wrong and when you are explaining the problem to them, you'll often realize you did something similar in your own work. Once the book is polished and critiqued seek out beta readers. There are groups on Goodreads.com that are dedicated to beta reading. An important part of the beta reading process is to set expectations for the readers. My wife does an excellent beta program and she sends this document to anyone who wants to beta read so they know what is expected of them. Feel free to adopt it to your own uses. I suggest 3 - 7 beta readers and keep adding them until you have at least 5 people read the entire book (some beta readers will drop out - either because life gets in the way or they don't like the book. As for submitting to publishers. For the most part, you'll want to submit to agents instead. These days mot publishers don't take unsolicited manuscripts, so you get an agent who knows what publishers are looking for what types of books. To get an agent you need to (a) do research to determine who represents your genre of work and (b) write a query letter. This post Writing Query Letters & Where to send them should help you with both. As you can see, you have only taken the first steps on what is a very long road, but it can be a rewarding trip both professionally and personally. I hope some of the above helps you in some way. Once you have your book in good order send me the first five pages (here is a link that provides full instructions on doing that), and I'll take a look at it and let you know whether I feel it is ready for primetime or still needs some polish. But I warn you, I'm a harsh critic because my standards are high. I hope this advice helped young Ben, and I hope you found it to be helpful as well. Happy Writing! Here's some information about the books to help you decide what you might be interested in. But hurry, sale ends October 20th at 11:59 PM PT.